This diver set expresses the effects of air pressure and buoyancy. This apparatus is ideal for showing the transmission of pressure by a liquid, the compressibility of gases, and Archimedes’ Principle. Ordering information: This kit includes a Cartesian diver, a 25 x 4 cm dia. 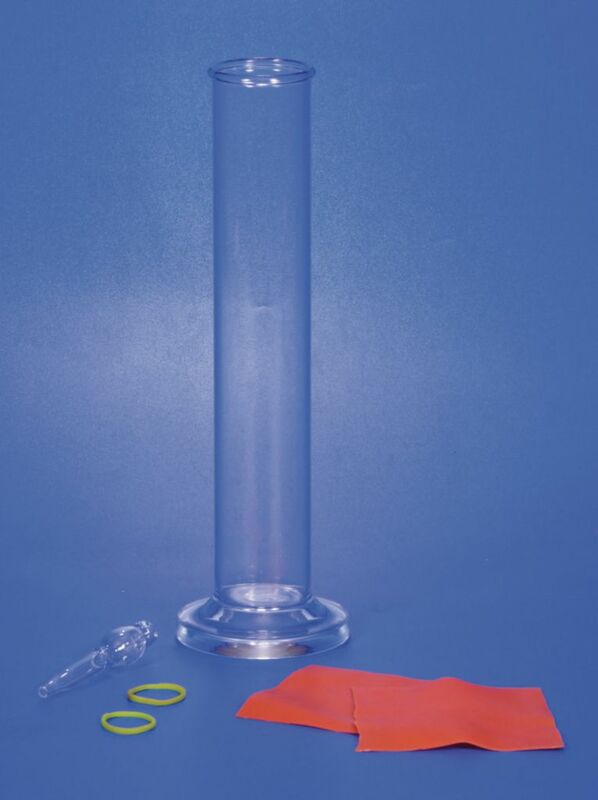 glass hydrometer cylinder, a rubber diaphragm, and instructions.